Thank you for choosing to become a valued member of the Kitsap Building Association. We are excited and privileged to have you! This membership package applies to those companies that are "vertically" building structures. This membership package applies to those companies that support the building industry. For example, architects, flooring, plumbers, painters, roofers, etc. This is a one-time fee for all new members. The Remodelers Council is a council that meets monthly. Often, guest speakers are brought in to discuss the latest in products and materials. This council also participates in the annual REX (Remodeling Excellence) Awards in November.  This council is also recognized by the NAHB (National Association of Home Builders). This is an opportunity to participate in the KBA enhanced listing program. This program allows you to purchase web banner ads throughout the website. The Marketing Director will contact you for more details. This introductory offer is for your first month. *restrictions apply.